Caption: Speakers from left, Fatima Mohamed & Hafsa Sarwar. 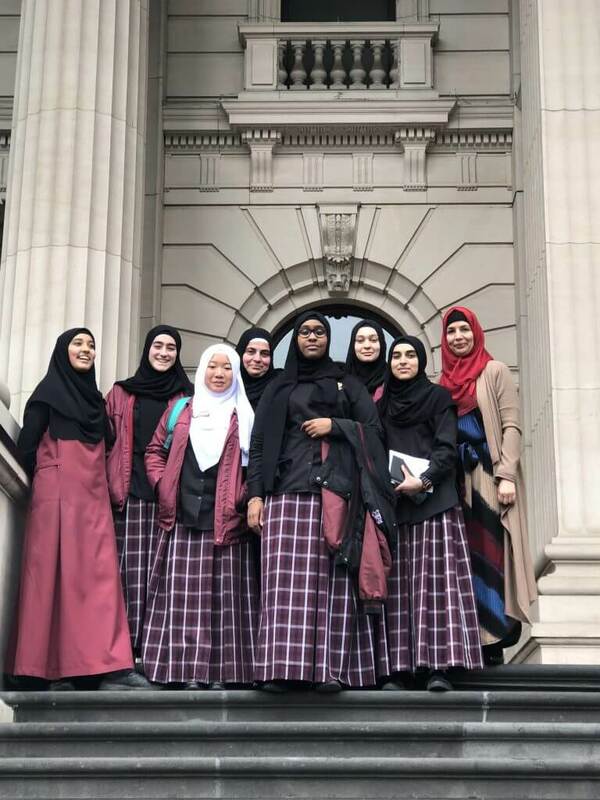 Muslim students from Al Siraat College spoke at the Victorian Parliament House on Friday 31 August 2018 on the theme “My Vote My Voice: Diversity in Community Organisations. 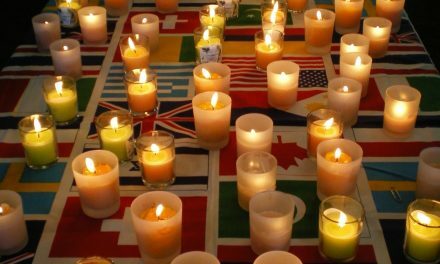 The annual event is organised by the National Council of Women of Victoria (NCWV) and in 2018 it was designed to encourage students to investigate the level of diversity (gender, ethnicity, age, disability), in community workplaces by visiting and conducting interviews. 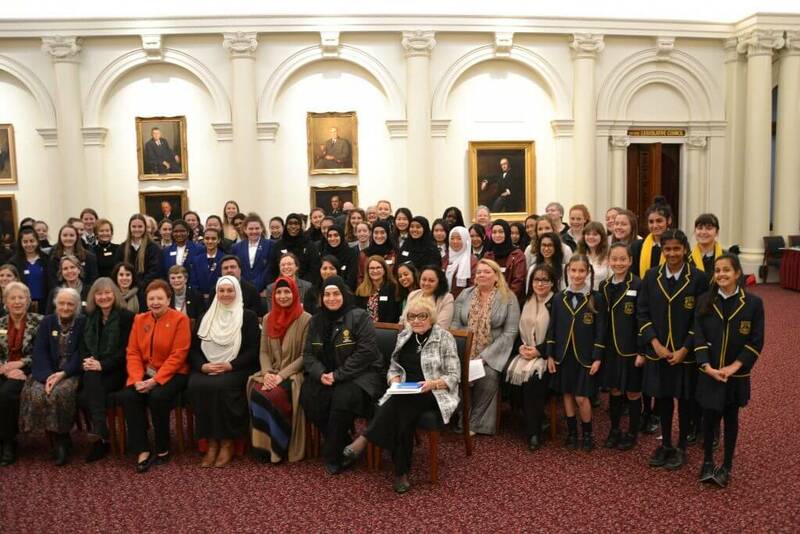 The focus of research is on diversity of leadership, decision-making and/or composition and then to make three-minute presentations in the Legislative Council Chamber to an audience of students, community members and a panel of eminent women. 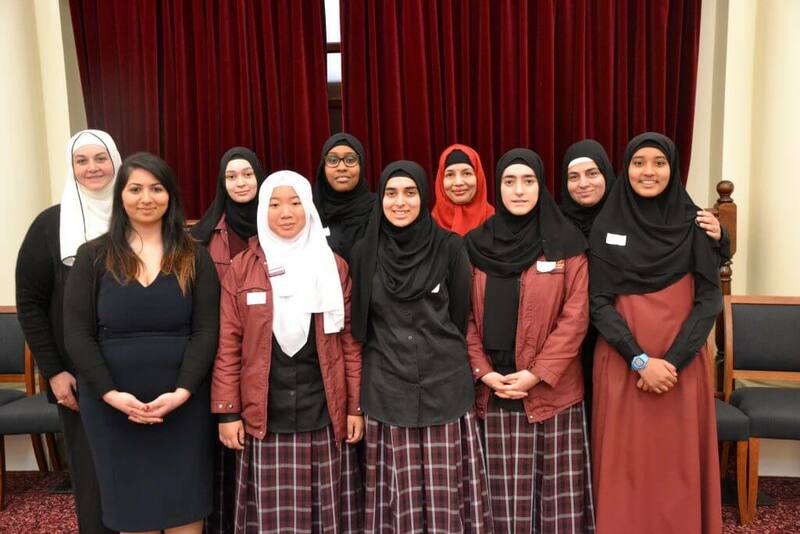 A select number of students from twelve reputable schools from across Victoria attended the event including students from Al Siraat College: Fatima Mohamed (Year 12), Hafsa Sarwar (Year 11), Aisha Arain (Year 10), Sondos Mahmandar (Year 10), Melike Cokmez (Year 10) and Nur Naziihah Hafidi (Year 8). 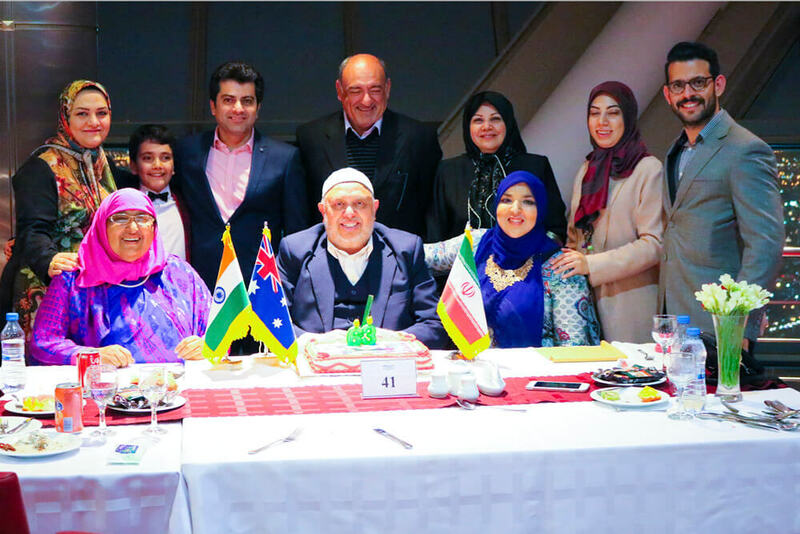 The student speeches included reflections on Prophet Mohammad’s (s) wife, Khadijah (r) as an investor, entrepreneur and a respected leader of her community. The students also shared the Islamic perspective that both men and women are equal in the eyes of Allah except in piety and righteousness. One student explained that Al Siraat College was part founded by the former principal Ms Rahat Arain, a Muslim woman who wears a face veil, a respected leader in our community. During their research the students were able to interview City of Whittlesea’s Mayor Kris Pavlidis who has supported the students in understanding the current gender pay gap in Australia and the lack of equality for women in leadership positions and on corporate boards. The Al Siraat College students finished with the message that the underlying cause of gender inequality is lack of respect for the contributions of women, whether they choose to take up a role in leadership or take on a nurturing role. 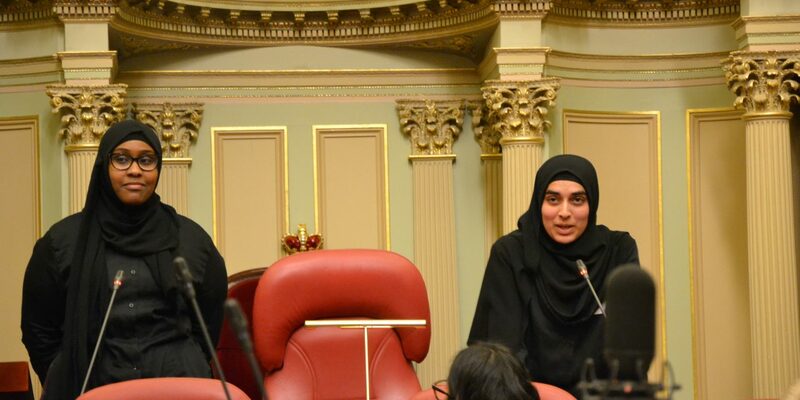 The speeches by the students received thunderous applause across the Legislative Chamber of the Parliament House. 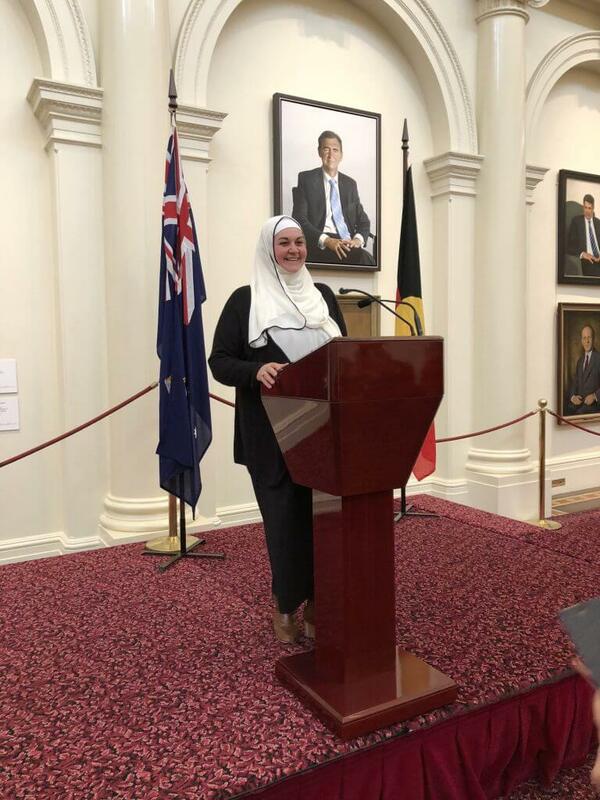 Penny Scott, a Wurundjeri woman and advisor to the Victorian Public Sector Commission gave a passionate speech about achieving substantive and inclusive equality for women, people with disabilities, and Aboriginal people. The panel at this event included Hon Samantha Dun MLC, Mayor of Maribyrnong Cr Cruc Lam and former Mayor of Greater Geelong Council Barbara Abley. Each panelist offered the students practical advice and feedback about the presentations and encouraged the students to share their stories and personal experiences in their presentations and use humour to engage with the audience, especially when discussing the more difficult topics. Students from each of the schools were able to network at the end of the event to discuss opportunities to collectively demand better outcomes for their communities. Group photo of all students, staff, panelists and speakers attending the event. The final speech was made by NCWV Youth Adviser Diya John, who only a few years ago was a student presenter herself at this very event. Photos have been supplied by Rod Hammond. My Vote My Voice 2018 had the support of the President of the Legislative Council, and the Education and Community Engagement Unit, Parliament of Victoria; Australian Local Government Women’s Association (Victoria); the League of Women Voters Bessie Rischbieth Trust and the Victorian Electoral Commission.